Kodak EasyShare OLED Wireless Software and Digital Frame Firmware Downloads for Microsoft Windows and Macintosh Operating Systems. This firmware version updates the user interface and improves picture frame performance. 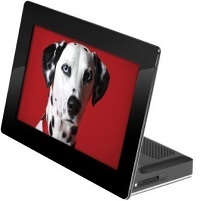 Click here for Kodak EasyShare OLED Wireless Digital Frame Manual or User Guide. This download page includes the Kodak EasyShare OLED Wireless Software, Digital Frame Firmware and OLED Wireless Manual. , and filed under Photo Frame.